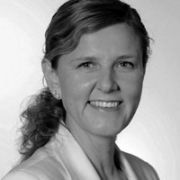 Heike Bruch is a Professor and Director of the Institute for Leadership and Human Resources Management of the University of St. Gallen (Switzerland) since 2001. Professor Bruch is also Academic Director for the International Study Program (ISP) at the University of St. Gallen, member of the McKinsey Academic Sounding Board and Academic Director for TOP JOB - the initiative to identify the best employer among small and medium-sized companies in Germany. Between 1999 and 2001, Professor Bruch worked at the London Business School (UK) as a Visit-ing Scholar and later as a Senior Research Fellow. Professor Bruch received her habilitation from University of St. Gallen (2001), her doctorate from the University of Hanover (1996) and her master's degree (1991) in Business Administration from the Free University of Berlin (Ger-many). Heike Bruch's research interests include managers emotion, volition and action, as well as leadership in change processes and organizational energy. She has received numerous academic awards, has written six books, edited another six, and has written more than 110 articles and book chapters.